Development of SMR-50 was done in 2004. First industrial unit SMR-50 was assembled in Krasnoyarsk region in 2005. 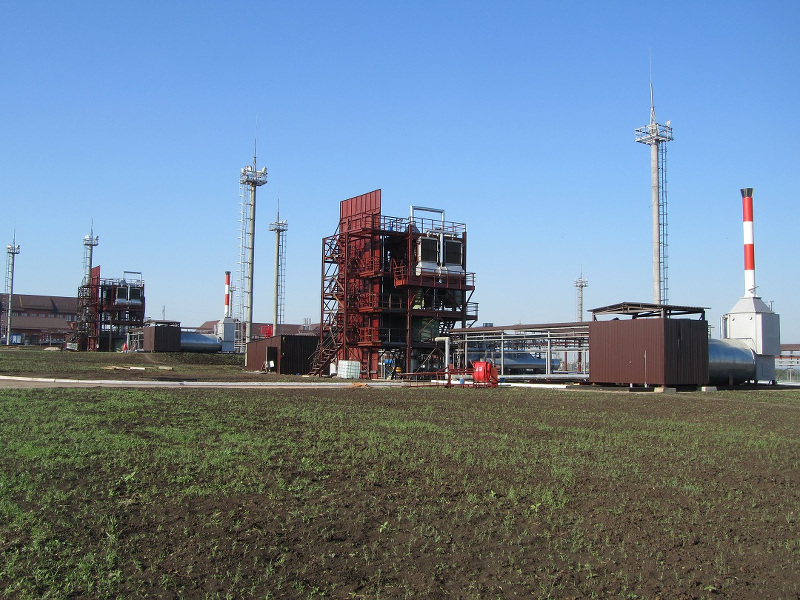 From 2005 till the end of 2014 Linas Group supplied 13th SMR-50 units for six refineries in Russia. Plenty of improvement and modification were done during last 10 years. Last model of SMR-50 was supplied to company SamaraTransNeft-Terminal (Samara region). Photos of this SMR-50 are presented below. SMR-50 is applied for atmospheric distillation of crude oil, gas condensate and their mixture. Main oil products are straight run gasoline, diesel oil, black fuel. There is option for four main products - straight run gasoline, kerosene, diesel oil, black fuel. Main technical parameters of SMR-50 are presented in Table 1. Material balance of products for SMR-50 depends very much on feed. Table 2 contains data for SMR-50 if standard West Siberian crude oil (density 0.836 g/ml) from pipeline was used. Automatic system of SMR-50 is based on Siemens controllers. SMR-50 needs four standard Siemens control cabinets. Photo of control cabinets is presented below.